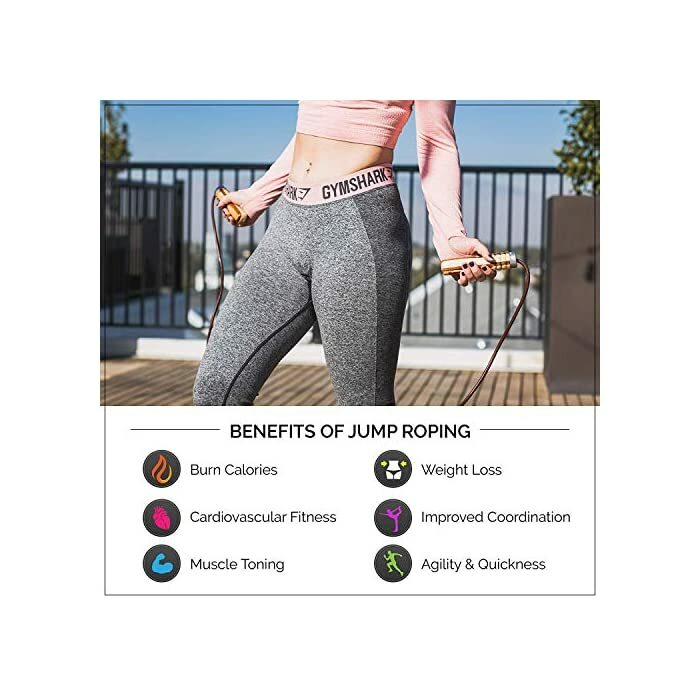 BENEFITS OF JUMP ROPING: There are a great deal of benefits that come from jumping rope, the main benefit being increased elasticity and resiliency of lower-leg muscles which leads to a reduced risk of lower-leg injuries. 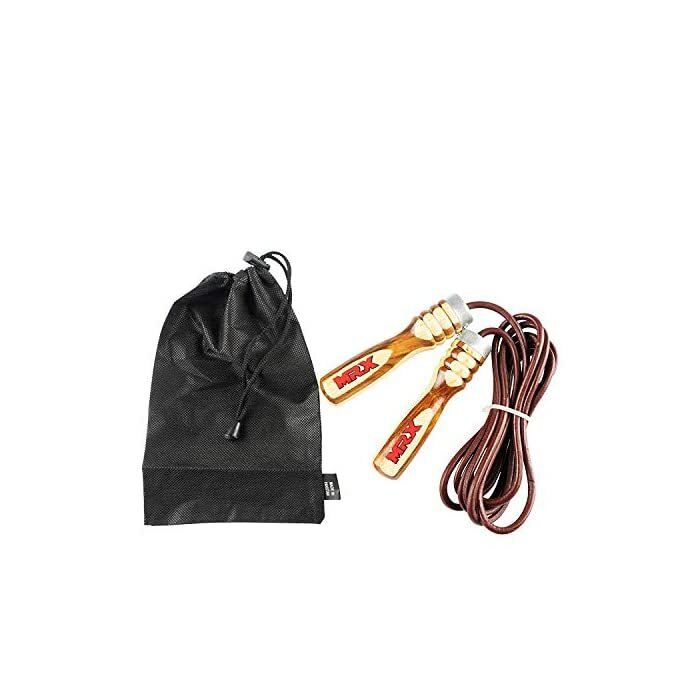 The steady cadence and rhythm of skipping rope can help improve the coordination between your eyes, feet, and hands. This is a leg workout that will produce noticeable results. 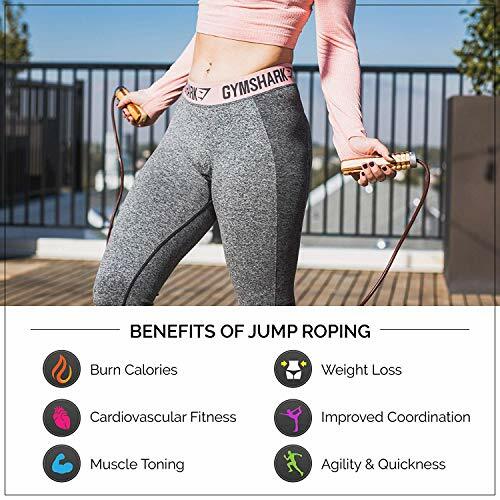 VERSATILE WORKOUT: Working out with a leather jump rope can fit in on leg day or in the cardio segment of your workout and will help with muscle toning. 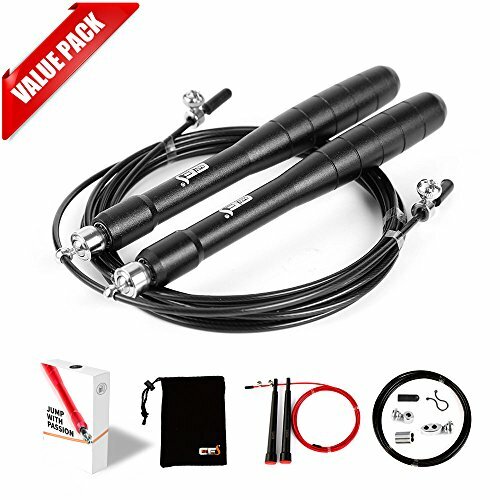 Jumping rope is a cyclic activity, and overtime, you will be able to burn some major calories! 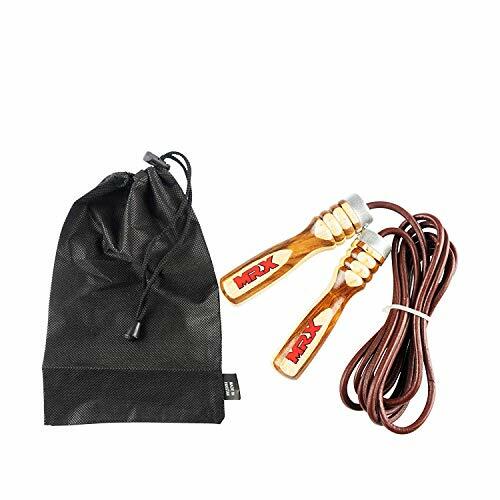 This can be used as a MMA or boxing training jump rope and also makes a great addition to your home workout equipment. 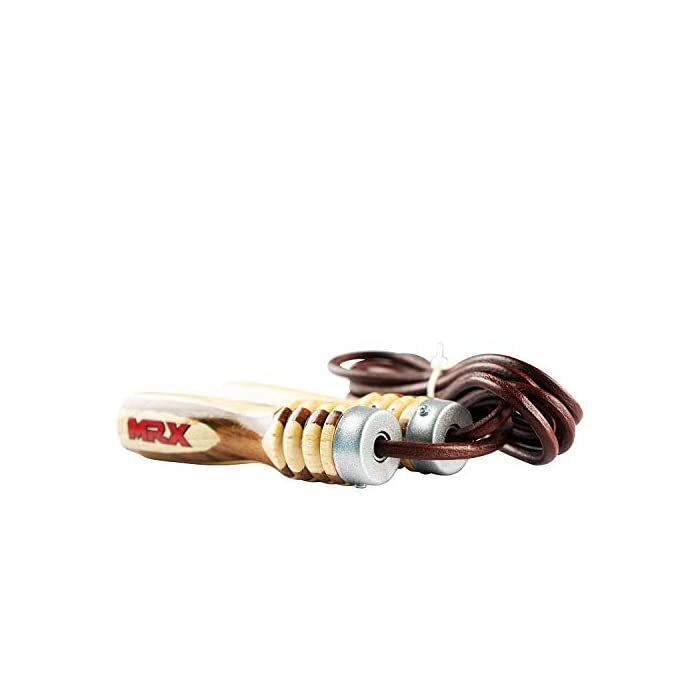 MMA TRAINING EQUIPMENT: Using our professional grade wooden handle rope will improve your cardiovascular strength and overall dexterity. If you regularly workout with this rope, your endurance in those long fights will improve. Cross training is important to help you or your fighter develop the specialized skills that make a good fighter. Our rope is used by professional boxers and trainers. 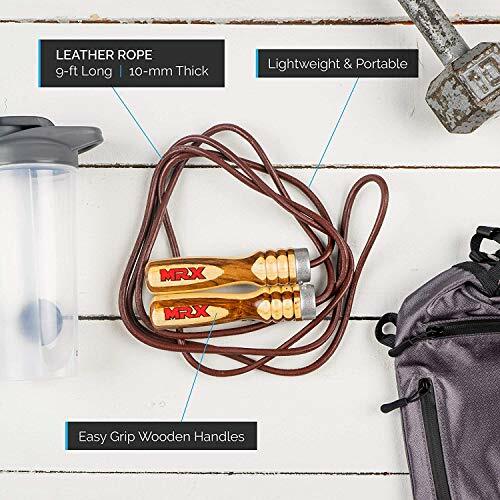 WEIGHTED AND PORTABLE: For your convenience, we made this jumping rope compact and weighted. 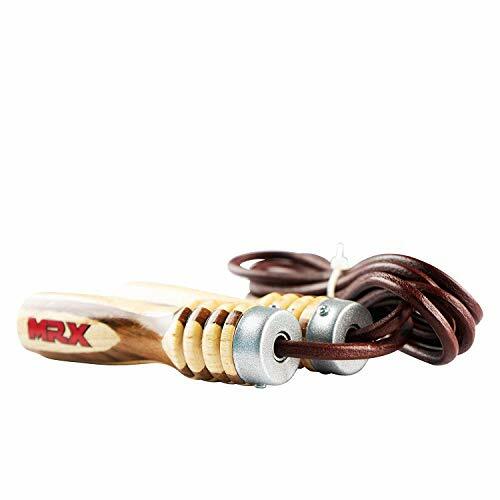 This 9-ft long, 10-mm thick jump rope with easy grip wooden handles is incredibly heavy duty and is for MMA training, bodybuilding, boxing, cardio exercises, and personal training equipment. 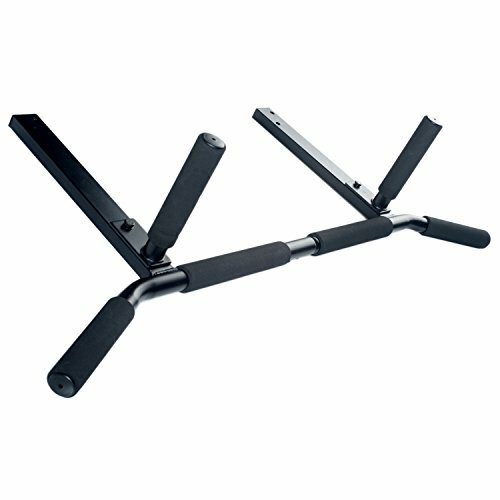 Perfect for home and gym. 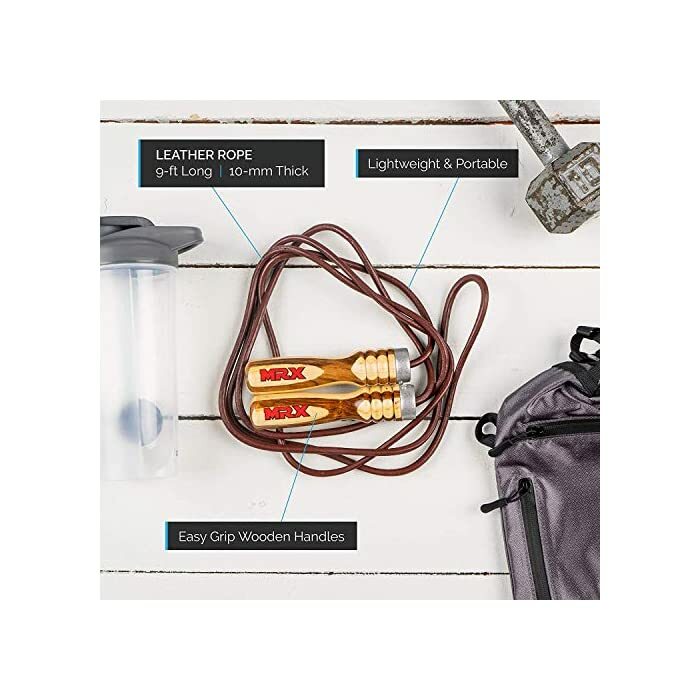 Each rope comes with a carrying pouch for increased portability. 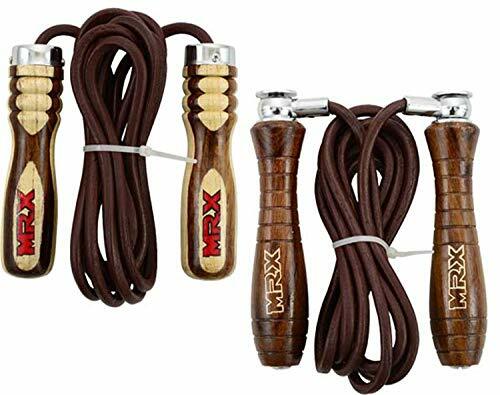 ABOUT MRX BOXING & FITNESS: At MRX Boxing & Fitness, we provide products that improve strength, endurance, striking power, and success in fitness activities. We carry a full range of gloves, MMA products, and weight training gear to perfect your workouts. 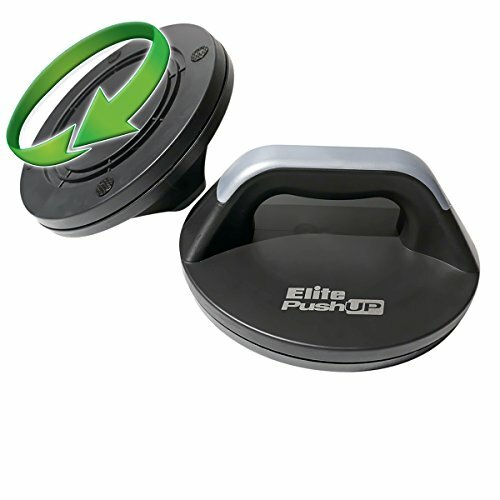 Our top-quality products are built to withstand abuse so you can perform your best. We offer fast, same day shipping on all orders.